Remarketing helps you reach your target audience and has seen strong adoption from Bing Ads customers since its release. 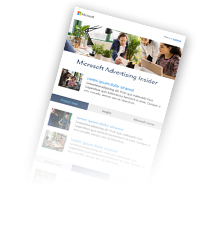 On average, customers have been experiencing 36 percent higher conversion rates and 22 percent lower CPAs with their remarketing ads on Bing Ads1. That’s why we are excited to release an additional remarketing feature – exclusions. Exclusions allow you to focus on the users who matter most by excluding the types of users who may not fit within the objectives of an ad campaign. Below are a few examples where setting up remarketing exclusions could further your audience-targeting objectives and achieve a higher ROI. If you have a campaign set up to generate new sign-ups, you may want to exclude existing customers from this ad campaign. If your type of business or service entails a long commitment from your customers, then recent customers may not be in the market to buy again for a while, like with buying a car or home. If you want to focus an ad campaign on a specific stage of the customer purchase experience - for example, with customers who added items to a cart but have not yet made a purchase. In that case, you could use a combination of targeting associations and exclusions to focus on just those users. If you want to convert free trial users to paid customers, you can exclude customers who are not approaching the end of their trial period for that ad campaign. Creating exclusions is simple, and you follow the same steps you would when creating targeting associations. You can start from either Create association in the Audience tab or Associate with remarketing lists in the Ad groups tab. Select the Ad group you want to associate with remarketing lists and then select Add exclusions. 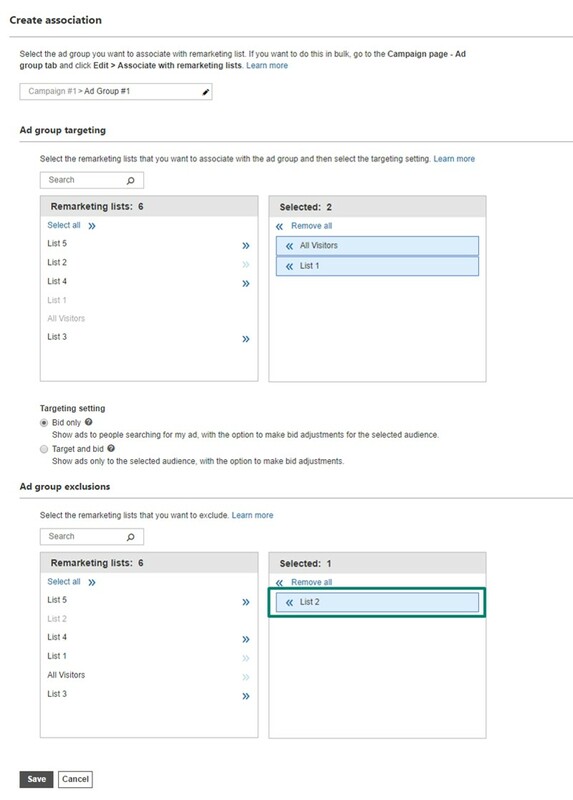 Select the remarketing lists you want to target and/or exclude from the selected ad group. Click Save to complete the set up. Exclusion is another type of association status, like enable or pause. You can easily convert any existing targeting associations to an exclusion and vice versa within the table. When is this feature available? This feature will begin to roll out to our global audience today. Customers can expect to see the feature available when logging into Bing Ads within the next few weeks! We’d love to hear from you! You can always reach us on Twitter and our Feature Suggestion Forum with your feedback, comments, and ideas. [i] Analysis based on Bing Network desktop traffic data from Sep to Nov 2016.